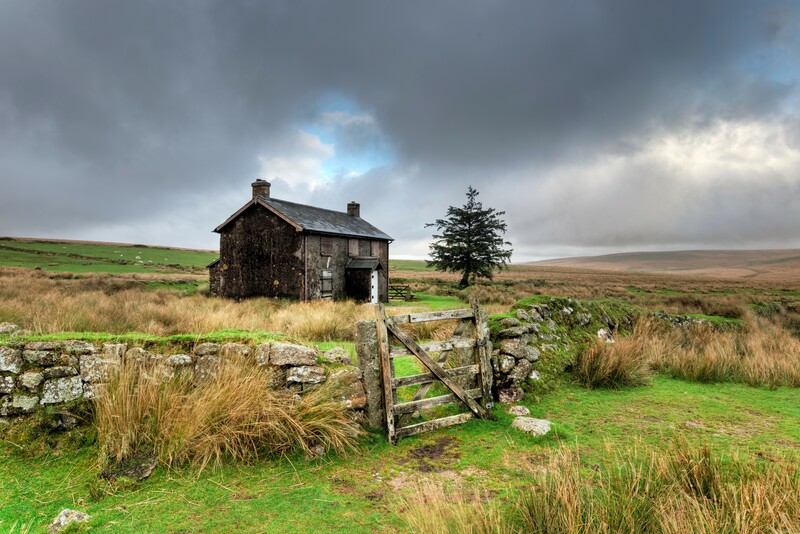 Dartmoor and Exmoor are fantastic for cycling and walking as well as for nature lovers and photographers, just to mention a few. Indeed, to many of the enthusiasts, their visit to the national parks is like a pilgrimage. If you are into water sports such as sailing and fishing then as well as the miles of unspoilt beaches the county is blessed with many freshwater lakes. Where we live, I can be on Dartmoor in 20 minutes or on the beach in half an hour. In between there is the classic Devon rolling landscape making travelling from place to place a constant visual pleasure. The ever changing countryside feels vast but never inaccessible with a historic timelessness that is somehow reassuring when you consider how long it has been like this. It might seem a strange thing to say but the county reminds me of when I was a child with nothing having really changed in the villages and rural areas for generations. People talk about something being idyllic and are nostalgic for what has gone but here it never went away and still exists as it always has done. It is hard to explain but it is like going back in time. Of course you may have a hankering for some of the benefits that only a city can offer. Plymouth is a city teeming with attractions including a vibrant waterfront with something for everyone. The City of Exeter offers plenty of retail therapy as well as having an amazing historical tale to tell. As a bonus you are never isolated in Devon as if you need to travel out of the county the communication links are excellent and easily reached. Looking over the hedges at the contented animals eating lush green grass is probably as good an indicator as any that the home reared meat in Devon is some of the best in the country. Don’t just take my word for it, ask the many top London restaurants who source their meat from Devon farmers. I think the freely available local beef in Devon is the most flavoursome I have ever had, but then you will say I would say that wouldn’t I. My suggestion would be to try it but be warned as you will never want to eat anything else again. There seems to be a fierce desire to establish and maintain a reputation for all produce, not just meat which can be seen at the many farm outlets and farmers markets where you are always spoilt for choice. One of the best hotels in the county if not the country is Michael Caine’s World renowned Gidleigh Park near Chagford on the edge of Dartmoor which is probably about as good as it gets. But you don’t have to dine at this exalted level. The county is dotted with hundreds of characterful local pubs and restaurants serving a fascinating array of good wholesome local food that won’t break the bank. No true Englishman could ever comment on living in an area without mentioning the climate and naturally, being in a rural community the weather forecast is always an important topic of conversation. It tends to be milder in Devon with some areas getting more rain than others, Dartmoor for example. But when the sun is out over the rolling landscape there is no finer place to be with everywhere having a rich lushness, particularly some of the extraordinary gardens open to visitors. Whilst we get our fair share of rain, more inland than on the coasts, enthusiastic gardeners at home will enjoy the milder winters and early spring enabling a riot of colour and a proliferation of tasty vegetables throughout the summer. The timelessness I have mentioned extends to the people who live here. I have been used to moving around a lot during my career but you find families who have been in Devon for generation after generation and would never think of moving anywhere else. There are a lot of incomers like me who have moved into the area, but by joining in and supporting local events I have made a lot of new friends. Again, people have time for the simpler things and having a chat in a shop or garage with someone is something to be enjoyed without looking at the watch every two minutes. There is a time and a place for everything, the work still gets done but not in a stressful way, and people are a lot happier for it. 5) What is property like in Devon? Devon has not seen the remarkable property price increases like London but there has been some modest growth of late with some areas doing better than others as you might expect. There are still some “bargains” to be had if you are prepared to look hard but generally the market has firmed up. That said, property in Devon is probably a lot more affordable than other areas and when you see what else comes with the package it could be said to be rather a bargain. Rural idyll, town house, sea views or on the edge of the moor, there is a property to suit everyone’s taste and budget.